Planned Parenthood continues to increase its haul of taxpayer dollars despite its chain of clinics experiencing steep declines in patients and non-abortion services while abortions remained stable. Cancer screenings have plummeted by 50 percent over the past five years, according to Planned Parenthood's 2015-2016 report. The 665,234 services performed at its 650 clinics represented a 50 percent drop from 1.3 million recorded in 2011-2012. Contraceptive services were also down from 3.4 million to 2.8 million over that time. The number of patients treated at Planned Parenthood also fell from "approximately three million" five years ago to 2.4 million in the most recent report. Abortion services remained steady on the year, as Planned Parenthood continues to supply about 30 percent of the nation's one million annual abortions. The organization performed 328,348 abortions, a slight dip from the 333,964 performed in 2011-2012. Despite declines in service, Planned Parenthood continued to increase its haul from taxpayers. Its affiliates received $554.6 million from government health services and grants, which made up 41 percent if its revenue. That is a $12 million increase from the $542.4 million it took in in five years ago. The taxpayer funding has become a central issue for lawmakers who are considering legislation that would redirect government funding away from abortion clinics and direct them to women's health centers that do not perform abortions. There are about 20 such health centers for every one Planned Parenthood nationwide. The loss of government money could be offset by private contributions, which have skyrocketed in recent years. In 2011, the organization and its affiliates collected $307.5 million from private individuals and estates, which represented 26 percent of all revenue. In 2015, donations jumped 45 percent to $445.8 million, which represented 33 percent of all revenue collected. It gained 26,000 more "individual active contributors" over that time period. Private donations are key to Planned Parenthood's campaign and lobbying operations; they made up "approximately 86 percent of the national organization's revenues." "In the face of a record number of state laws restricting reproductive rights, efforts by anti-women's health politicians in Congress to block access to care at Planned Parenthood, and a new administration that is hostile to the values we hold close, we never stopped living our mission," the report says. "Our success in overcoming these attacks on women's health was due in no small part to Planned Parenthood supporters, partners, and activists." Pro-life activists said the report demonstrates that Planned Parenthood remains more popular with politicians and activists than with actual patients. Marjorie Dannenfelser, president of the pro-life Susan B. Anthony List, said that lawmakers should follow in the footsteps of patients who have opted for alternatives in their healthcare choices. 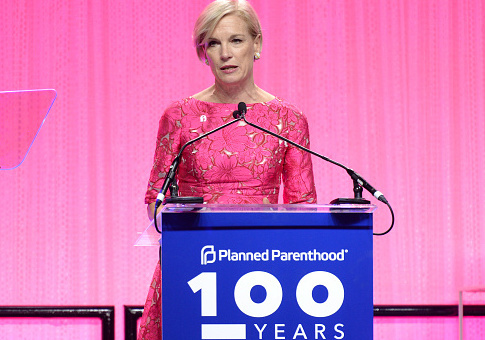 "Women are turning away from abortion giant Planned Parenthood," she said in a statement. "It's time to re-direct Planned Parenthood’s funding to community health centers. Taxpayers would be disentangled from the grisly abortion industry and get a better return on their investment in women's health." Jim Sedlak, executive director of American Life League, said that the 2015-2016 report shows the organization continues to drop in popularity. "Planned Parenthood's long-awaited annual report simply confirms what we know," he said in a statement. "The organization continues to lose customers and has seen its breast cancer services fall to an all-time low. Yet, it managed to increase its taxpayer funding while recording another $77.5 million in profit." Some major Planned Parenthood affiliates have begun closing clinics in anticipation of government defunding. Planned Parenthood of the Rocky Mountains announced on May 17 that it would close six clinics in three states, including its only clinic in Wyoming, "to maintain a fiscally solvent operation."